SHAKARA- LOOSE ENDS is a tale from the history of the Shakara by David Withers and Matt Herbert. 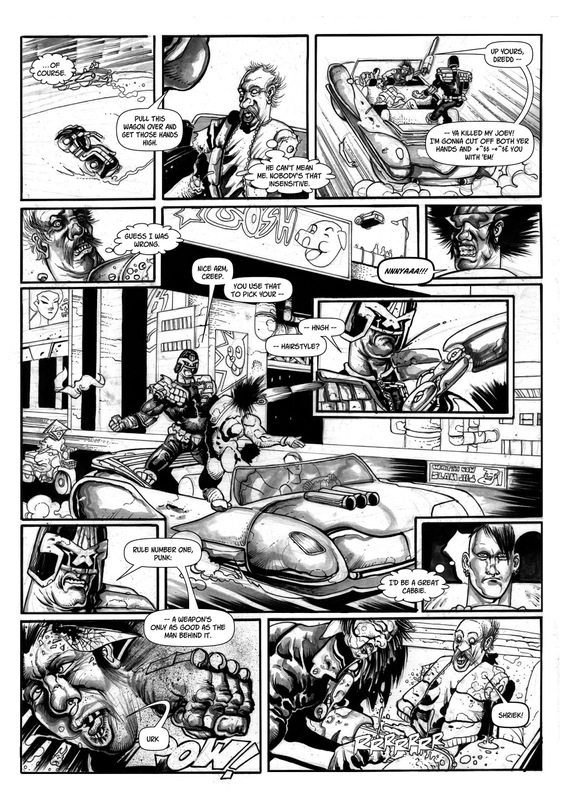 The Eagle eyed among you may recall that Matt is an artist from such titles as OMNIVISTSCOPE and the legendary SOLAR WIND and this is his first strip for Zarjaz. It will not be his last. 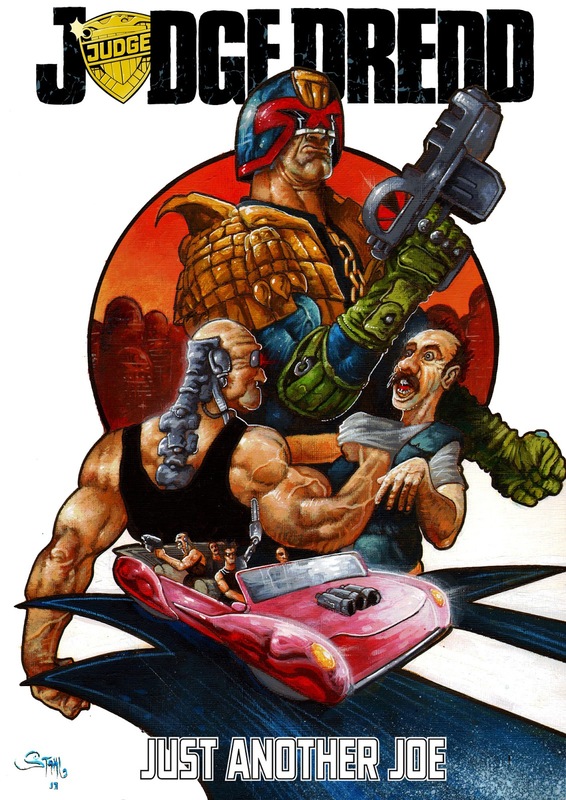 Zarjaz 17 sees the latest escapade for Sam Slade take the cover slot! 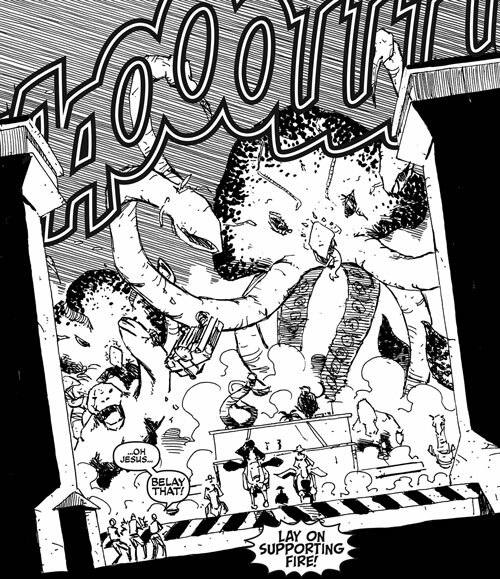 THE BEST MAN is a whopping 9 page romp by writer Paul Thompson and artist ‘Cuttlefish’. 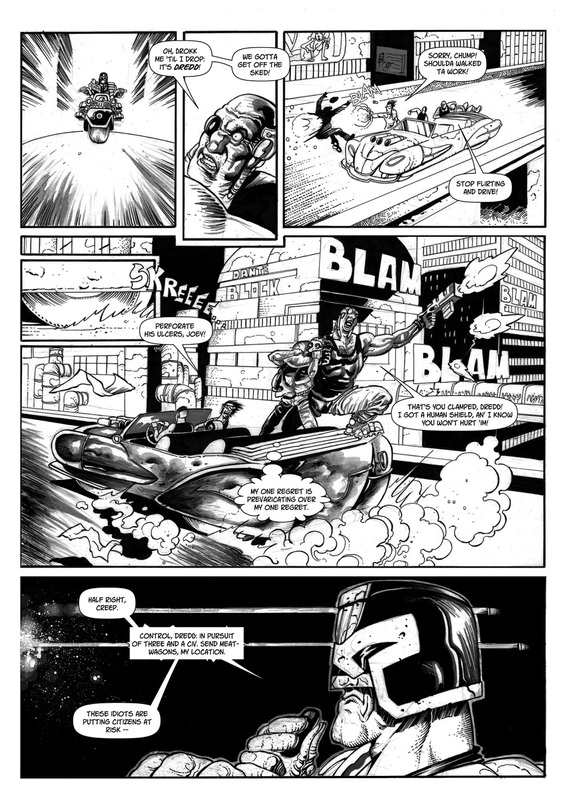 This strip is classic Robo-Hunter action with a unique Zarjaz style. 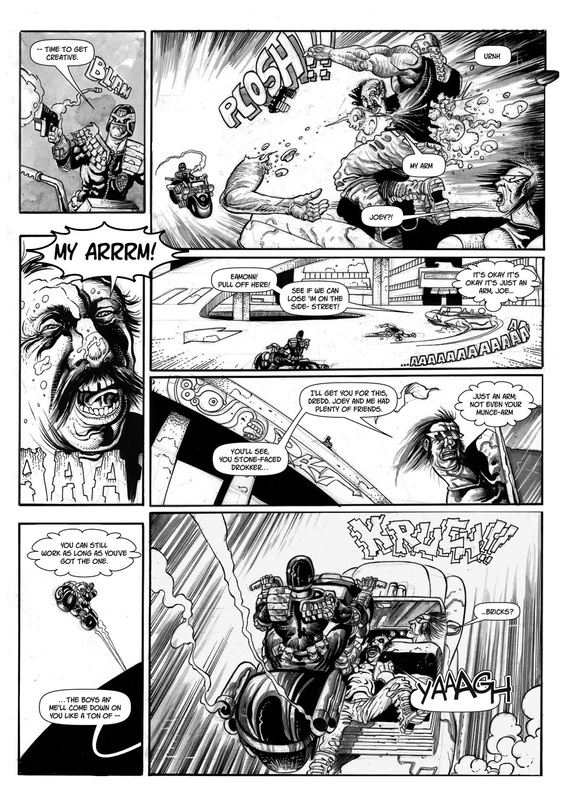 One of the strips we have been proudest of in Zarjaz is the mini series FLESH- EXTINCTION by M.J. Howard and Chris Geary. 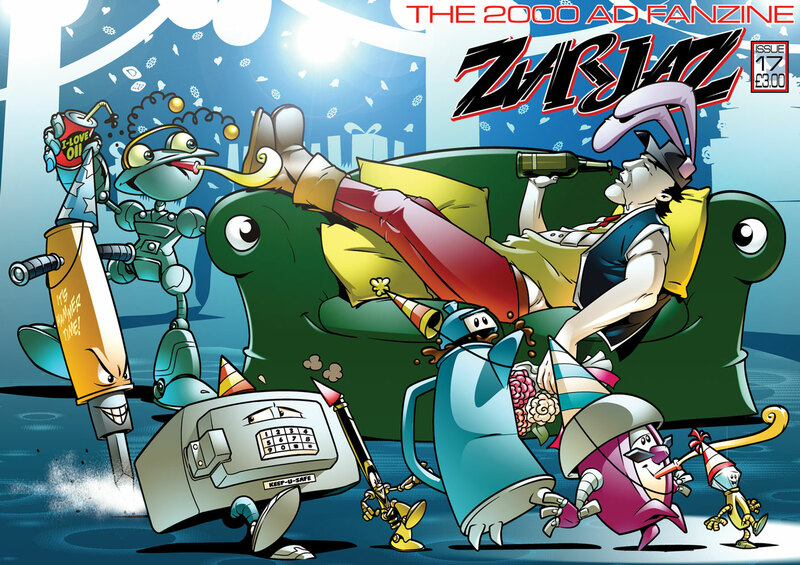 The strip first appeared in Zarjaz 10, and was moderately successful, considering that all it really shares with the classic FLESH is the name. 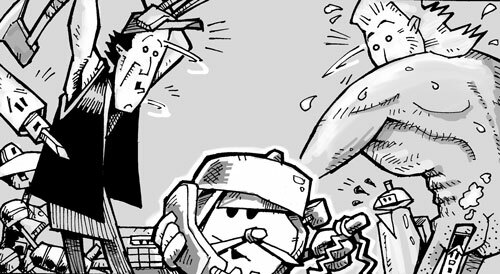 The setting, characters and situations are all specific to this strip. 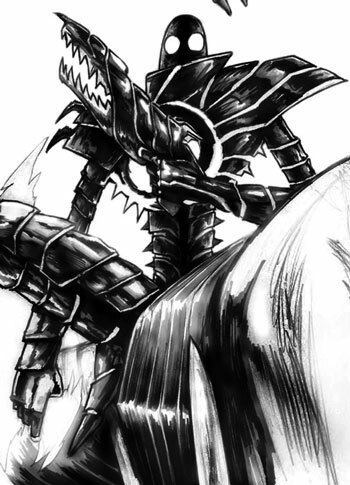 The second chapter followed in Zarjaz 14, where the larger picture was revealed and our heroes faced some hard decisions. 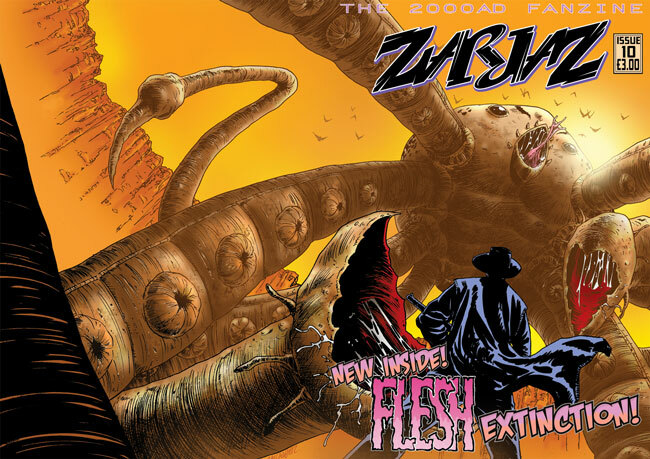 Finally, in Zarjaz 17 we are proud to present the finale to Flesh Extinction and in true Zarjaz style we have let Chris have a colour centrespread to adequately display the true scope of the events unfolding. Zarjaz 10, 14 and 17 are all available and the FLESH- EXTINCTION saga weighs in at a whopping 72 pages. Not bad. From the mind of Don Franco comes a short tale featuring the nemesis of the Harlem Heroes. Just what makes Artie Gruber tick? Find out in Zarjaz 17. Available very soon indeed- Zarjaz 17! From the pages of the HARLEM HEROES: Artie Gruber- Electric Dreams by Don Franco. 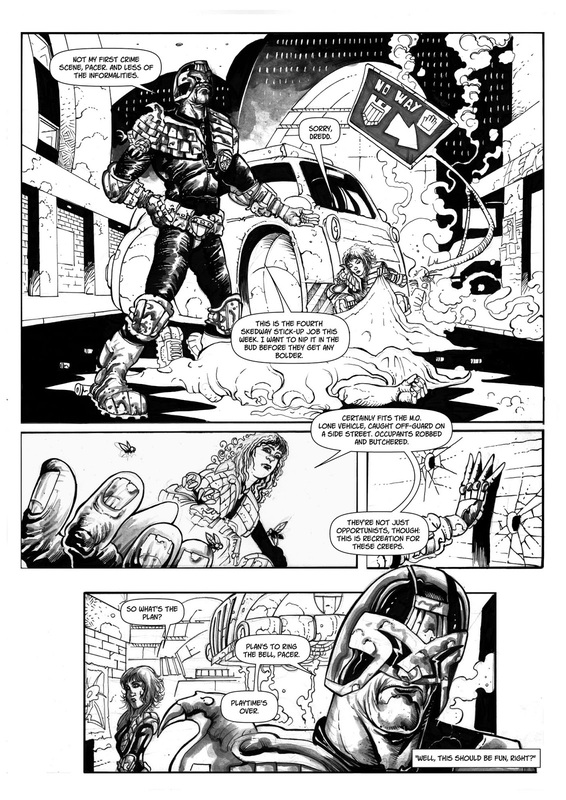 The finale of FLESH: Ectinction by writer M.J. Howard, art & lettering by Chris Geary. Beleieve me when I say that this strip has to be seen to be believed. 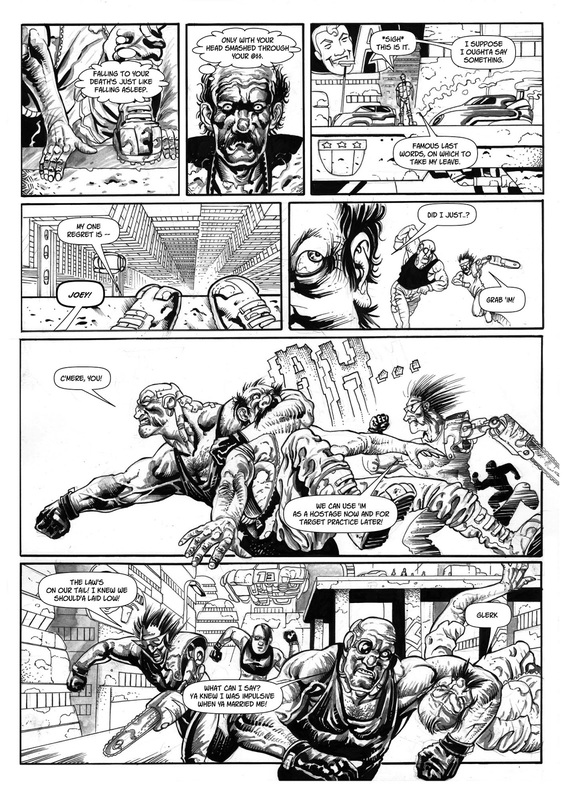 Sam Slade- Robo-Hunter: The Best Man by writer Paul Thompson and artist Cuttlefish. 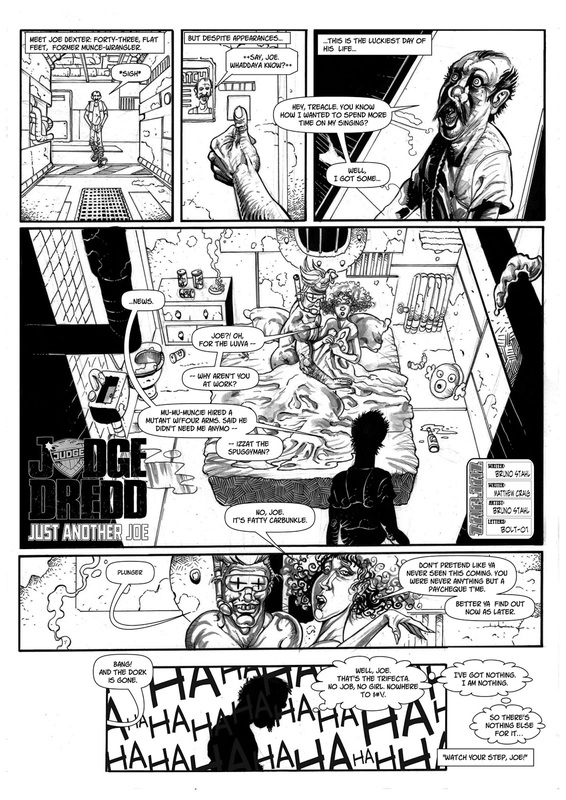 Judge Dredd: All the wrong Moves by writer John A Short and artist Alex Paterson treats us to a tale of one rookie’s final assessment when he is having one of ‘those’ days. Zarjaz 17 is £3.00 plus P&P and will be on sale initially over the weekend of the upcoming Cardiff Comics Expo and then from the FQP webshop, Orbital of London and selected Forbidden Planet shops. 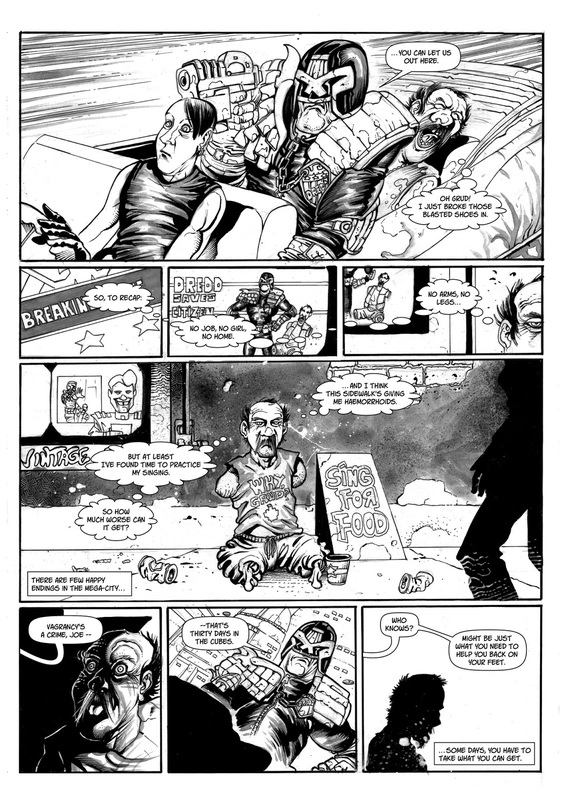 Over on his blog, the rather awesome David Frankum talks about his involvement with the Flesh strip in Zarjaz 16. 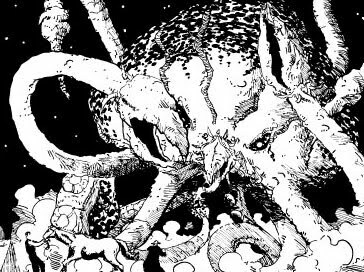 Thanks to Dave for all the kind words, and indeed for all the astounding art, too. Remeber the competition we launched a while ago? The script had a decent number of entries, and it was a close call on the final winner, but congratulations to Matthew Craig for sending in the winning script, presented below.